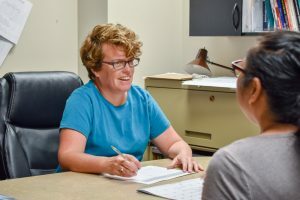 THE EMPHASIS at Eastern Mennonite University’s Center for Justice and Peacebuilding is markedly different from what graduates encounter in PhD programs. More than 60 CJP graduates have earned or are pursuing PhDs in law, literature, theology, trauma studies, social work, political science, peace studies, security and intelligence, leadership and more, from some 40 institutions in Australia, Canada, India, Ireland, South Africa and beyond. Among them are Jodi Dueck-Read MA ‘03 and Khadija O. Ali MA ‘01. Jodi Dueck-Read MA ’03 earned her doctorate in 2016 from University of Manitoba. She teaches at Menno Simons College in Winnipeg, Manitoba, and is a senior research assistant for Canadian Financial Diaries. Jodi Dueck-Read earned a PhD in order to teach and research. Her doctorate, completed in 2016, is in peace and conflict studies from the Mauro Centre for Peace and Justice, St. Paul’s College, University of Manitoba. In years prior to her doctoral studies, Dueck-Read not only attended CJP but also worked with Mennonite Central Committee in Chile and Bolivia, where she taught conflict transformation at the Bolivian Evangelical University. In the U.S., she was program coordinator for the Zuni Avenue Peace Center and worked in migration and peacebuilding. She now teaches conflict resolution studies at Menno Simons College in Winnipeg and is a senior research assistant for Canadian Financial Diaries. Her own potential prompted her to pursue more education, and in 2001 she earned a master’s degree in conflict transformation from CJP. After graduating, Ali became a parliamentarian and minister of state in the transitional national government in Somalia. 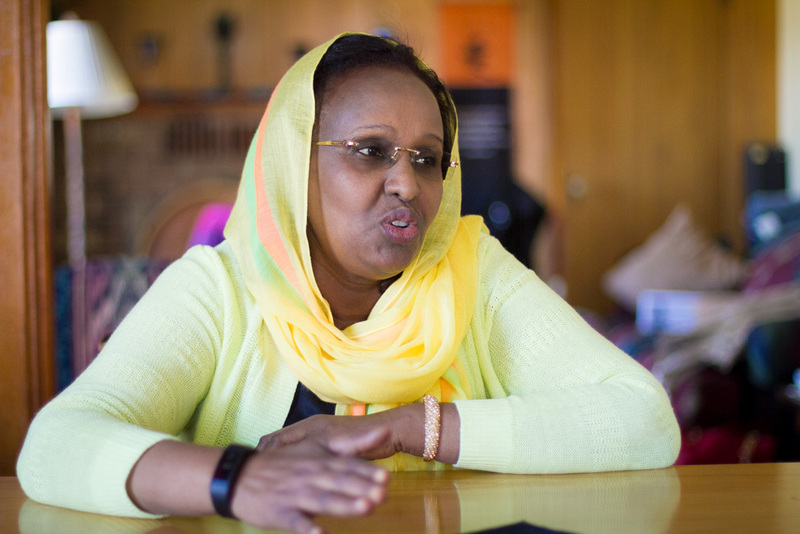 As she began “working fully in peacebuilding and mediation efforts,” however, she realized that “the Somali conflict was no longer local,” but regional and international. “Before my PhD, I worked as a practitioner in community mobilization and mediation, and most of my focus was on grassroots activities,” she said. Now, she serves as an electoral commissioner for Somalia’s National Independent Electoral Commission in Mogadishu.